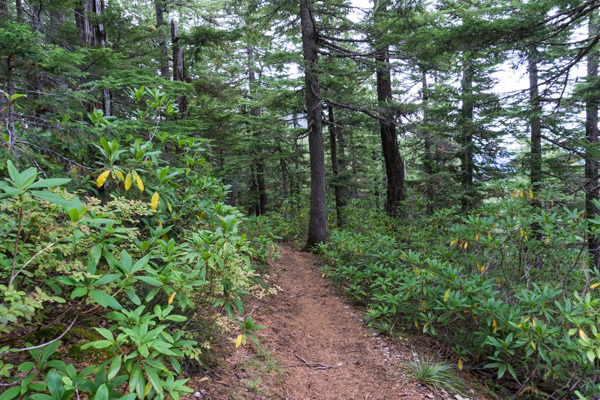 The first section of trail is filled with rhododendrons, and I hope to come back when they are all in bloom next year in late June/early July. 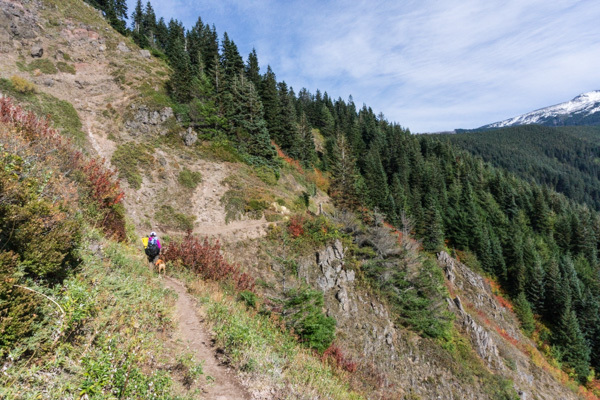 The trail is in very good condition, with 11 switchbacks making the ascent an easy one. 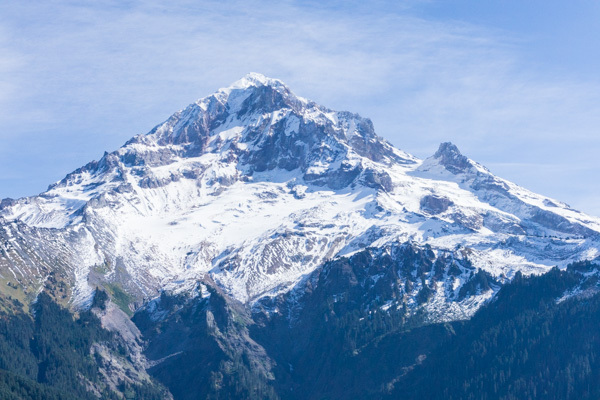 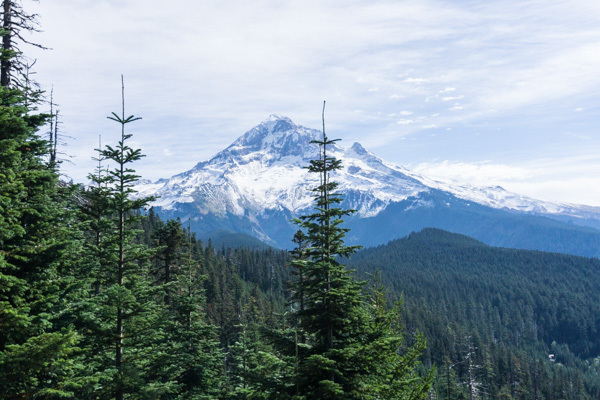 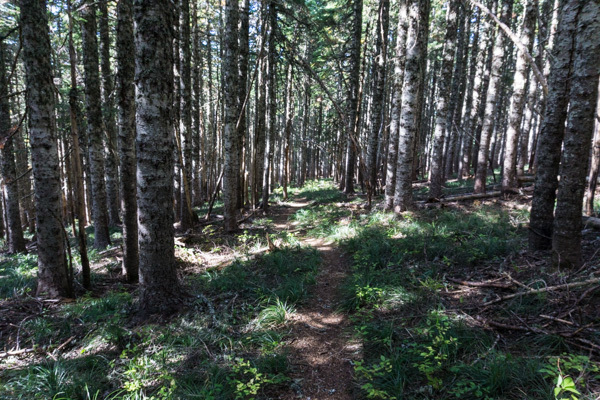 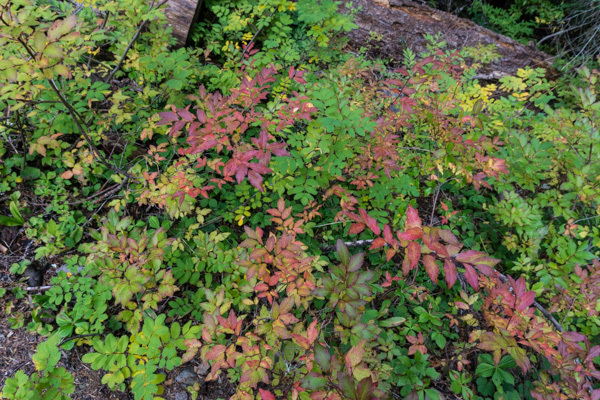 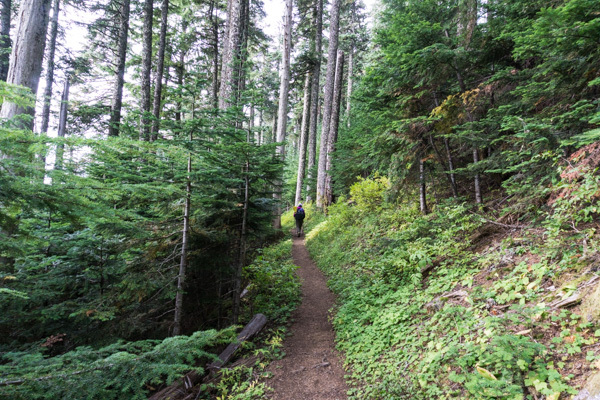 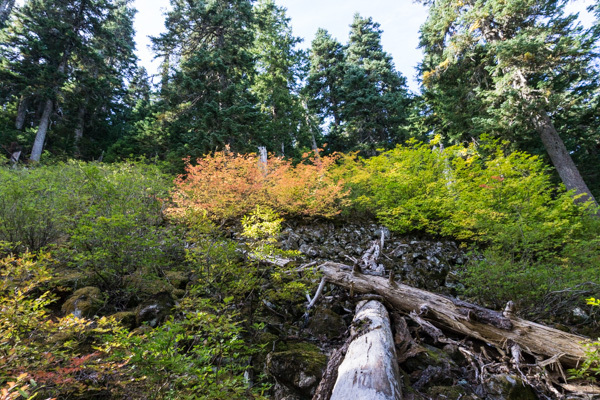 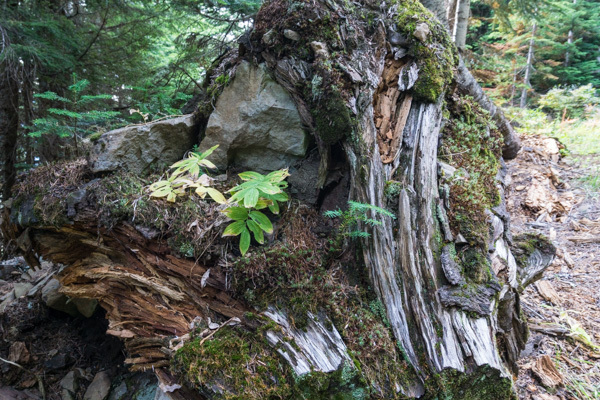 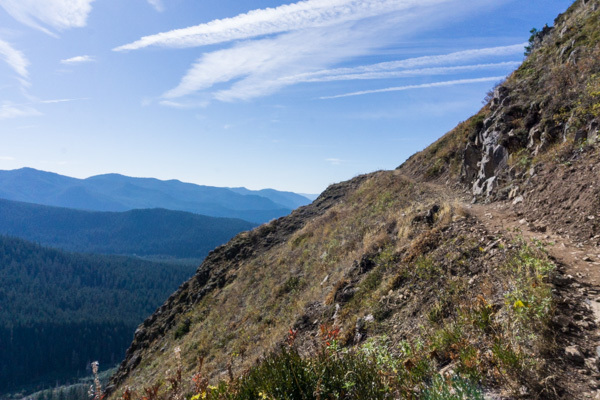 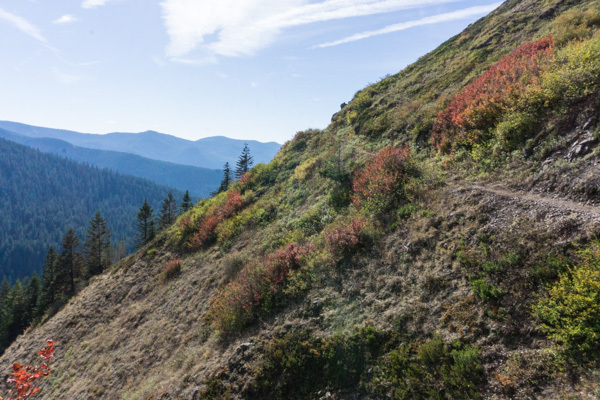 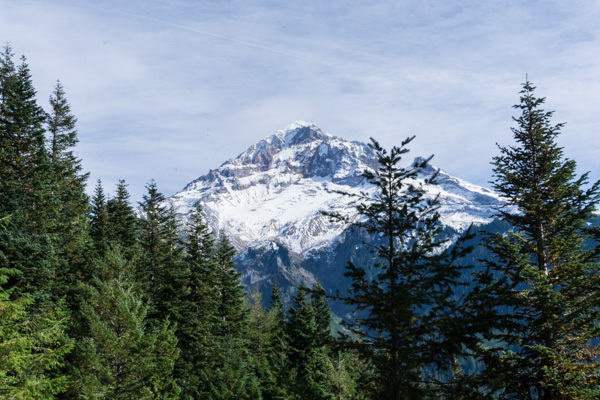 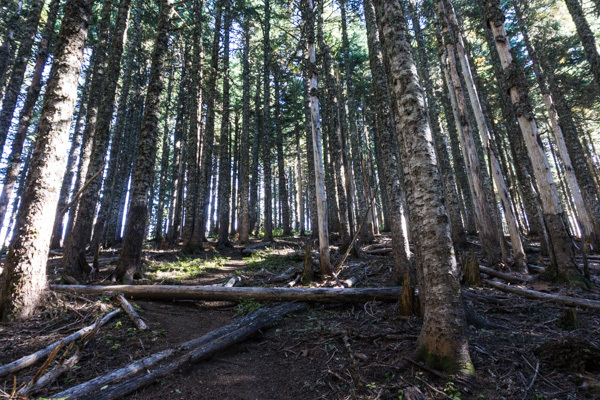 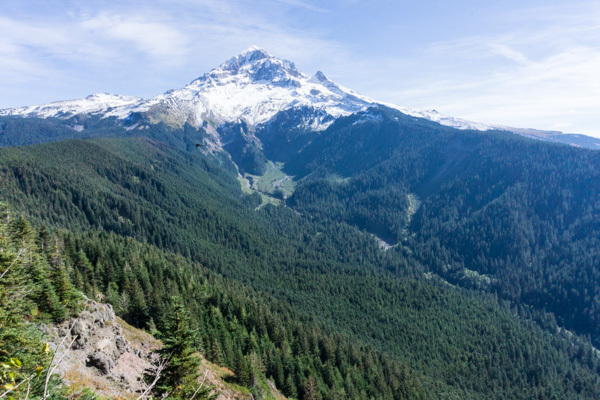 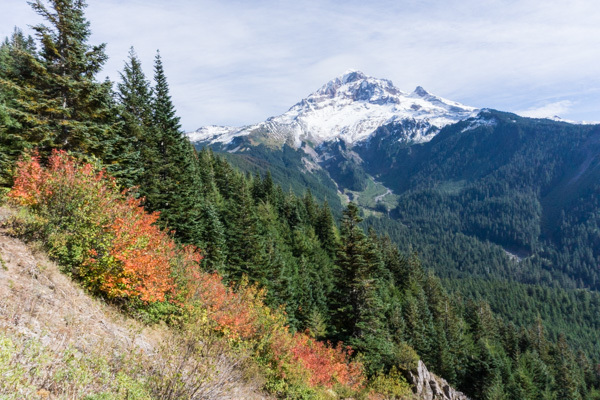 After the switchbacks, the hike is along a ridge with occasional openings in the forest and views of nearby ridges and Mount Hood. 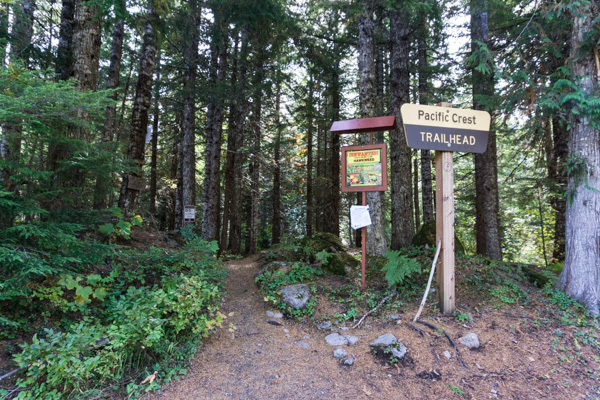 Reach the Top Spur junction near three miles in, then continue to a four-way junction and wilderness permit sign-in. 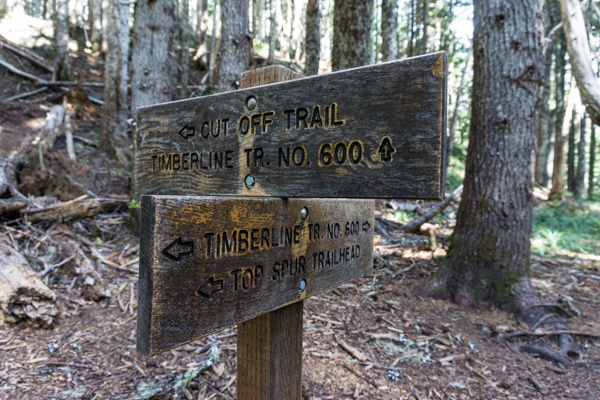 To either hike around Bald Mountain, or go to the top of it, take the trail immediately to the right of the signs. 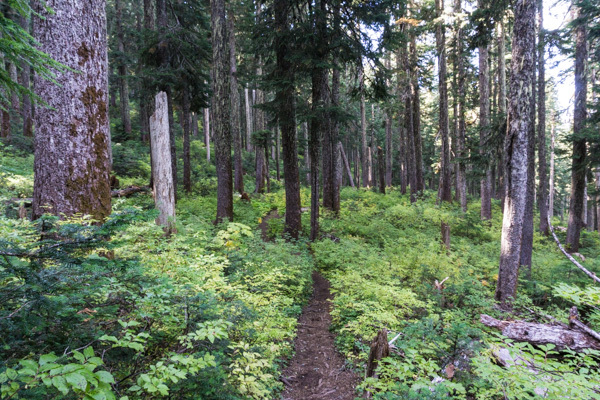 For the unmarked trail to the summit, look for an obvious trail on the left, about 100 feet past the junction. 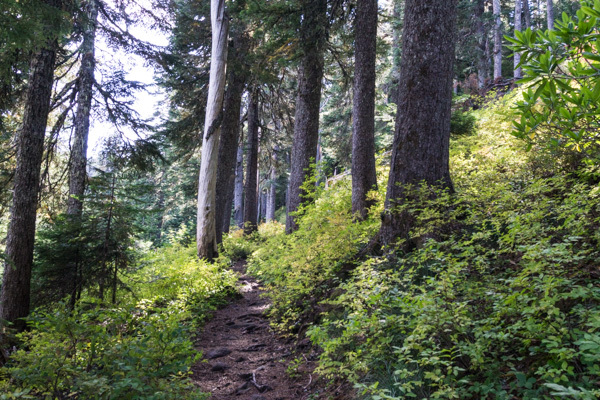 This trail is short and steep, but not difficult, as it leads 0.3 miles to the top. 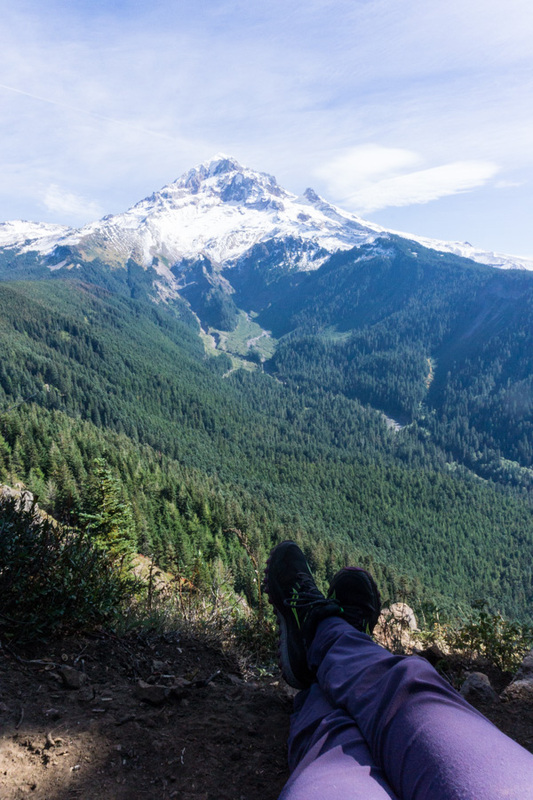 Views of Mount Hood from here are amazing! 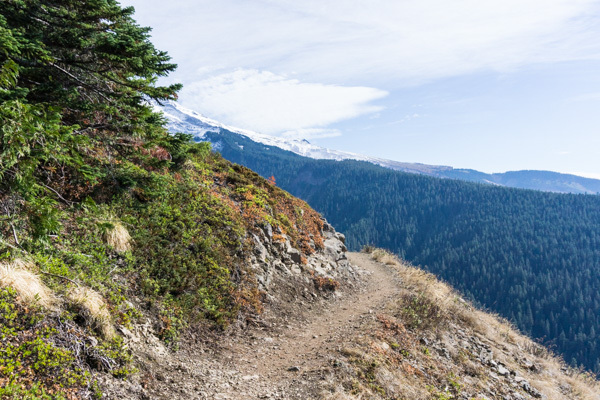 After a lunch break at the top, we headed back down and continued around Bald Mountain for more views of Mount Hood and the surrounding ridges. 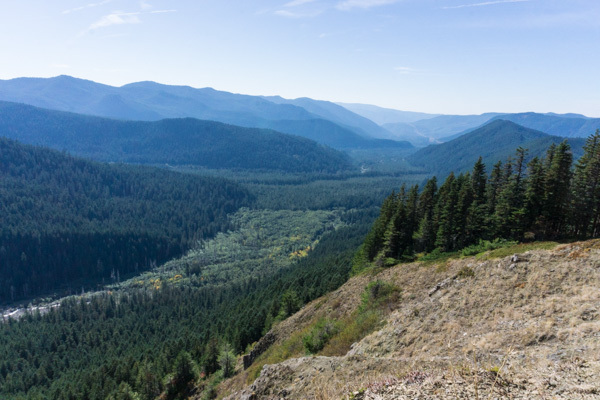 On the way out, there were interesting clouds over Hood, looking a bit like a vortex.